Paris is undoubtedly, one of the most beautiful cities in the world. Measuring only 10 kilometres wide, neatly packaged into 20 arrondissements, each with their own individual charm and character, bursting with a myriad of wonders to explore. 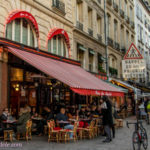 Paris is where your senses come alive; the sights of a grand well designed city, the gentle hum of Parisians in a café, or the lively buzz of market vendors, as they tout their produce, the smell of freshly baked bread, wafting from a Boulangerie, tasting the abundant, delicious food on offer, and the touch …. when she, Paris the city of love, enters your heart. With a discovery to be had in each nook and cranny and a surprise around every corner, Paris never ceases to surprise and amaze me. When I first visited in the 1980’s, I left somewhat disappointed, the French had a reputation of being rude and snooty, the city was dirty and I couldn’t make out what all the fuss was about. 30 years later, clocking up around 25 visits since, I have been completely seduced by the city’s magic and charm. The more I learn, the less, I feel I know. The long sweeping boulevards, tiny cobbled laneways, magnificent architecture, two small islands at its heart, with 37 bridges to transport you from the right to the left bank over the river Seine, so much to explore! Paris oozes style and so does her inhabitants. Quiet, cultured, refined, humble, sophisticated, in a very unpretentious way. 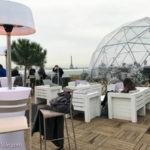 With a burgeoning need to provide more helpful information for my readers and friends, sadly, I have decided to abandon my old blog at Blogger, and migrate to WordPress in an effort to provide you with a more functional way of following my blog and discovering what Paris has to offer. Whether you are just passing through, perhaps gathering information for your upcoming visit to the city of love and lights, or have followed me over to my new website, please have a look around and let me know if there is something you would like me to add, share or discover. Your stories and insights are very welcome and will be helpful and useful to fellow Francophiles, followers, travellers and me! Share the love and the knowledge! In a city that is 10kms wide, has 204 museums on everything conceivable, some of the most brilliant architecture in the world, can be explored entirely on foot but also has a metro system that is safe and simple to use … what is there not to love? Thanks for dropping by, share the love! About Me – Who Is Paris Adèle? Follow me on facebook ….